Dynamic back row Ollie Griffiths made his debut for Dragons in 2014 against Ulster in 2014. 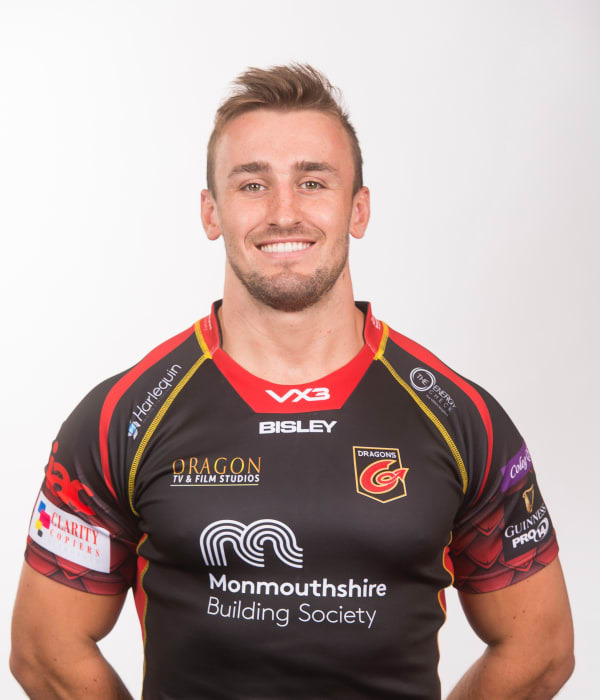 A product of the Dragons Academy, the Newbridge-born forward impressed for Cross Keys and Newport before making the step up to regional level. During the 2014/15 season he was named captain of the Black and Ambers - their youngster skipper in history. Griffiths was called into the Wales Under-20 set-up after impressing at Rodney Parade and went on to captain his country against Scotland Under-20s in their 2014 Six Nations campaign. Griffiths was later named in the Wales Under-20s squad for the 2015 World Championships. His eye-catching displays in the back row were rewarded with a call-up the senior Wales tour to Tonga and Samoa. He made his international debut against Tonga in Auckland in June 2017.